​Custom built kitchen with bar, solid wood painted white and quartz counters. High quality cabinets with soft close undermount drawers and soft closing doors on cabinets. 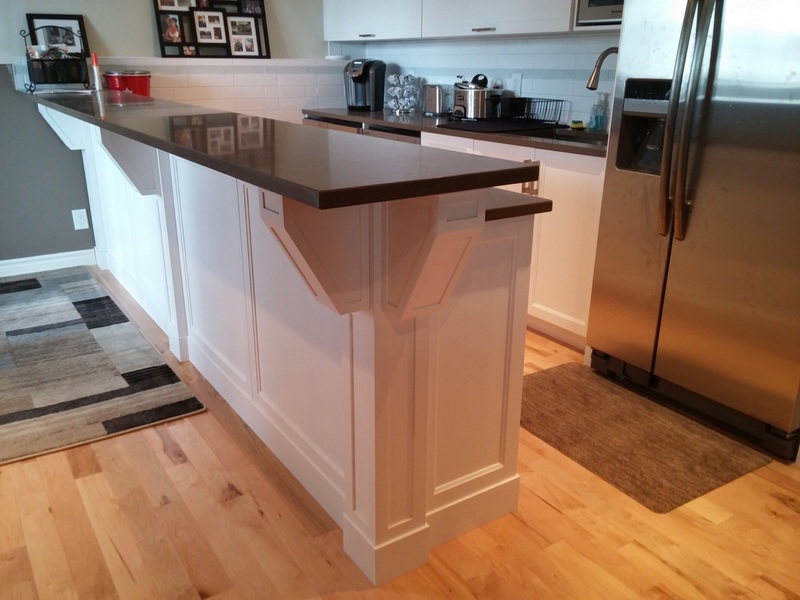 Built in microwave, wine fridge and custom made corbels. Features under cabinet lighting and flip up doors. This custom designed kitchen was installed in Orleans, Ottawa.